An adventurous flutist hailed for her "versatility and depth of understanding" (Composer Eva Kendrick), Dr. Jessica Sherer has earned a reputation for taking on many unique and varied musical projects. In demand as an orchestral musician, Jessica began her career performing with the New World Symphony at age nineteen. Currently she is principal flutist with Sinfonia Gulf Coast, piccoloist with the Spartanburg Philharmonic Orchestra and the Albany Symphony, assistant principal flutist with the LaGrange Symphony, and performs regularly with orchestras throughout the Southeast, including the Atlanta Opera Orchestra, Greenville Symphony, South Carolina Philharmonic, Columbus Symphony, Symphony Orchestra Augusta, and the Orlando Philharmonic. She has also shared the stage with such artists as Sarah McLachlan, Dame Evelyn Glennie, and Kristin Chenoweth. An avid chamber musician, Jessica has performed with members of the Atlanta Symphony, New York Philharmonic, Los Angeles Philharmonic, and Metropolitan Opera, among others. She is co-founder of Anon Ensemble, a flute, viola, and bassoon trio whose commissioned work, Juntos, by Eva Kendrick, was recently awarded the Judith Lang Zaimont Prize for the International Alliance of Women in Music New Music Search. A strong advocate for new music, Jessica has commissioned and premiered works by many composers, including Eva Kendrick, Nicole Chamberlain, Marc Yeats, Richard Applin, Michael Daughterty and Ladislav Kubik. She is also a member of Atlanta's acclaimed Chamber Cartel, an ensemble "dedicated to seeking out the beautiful, strange, imaginative, and wondrous in contemporary music," and has performed with the Pierrot Lunaire Ensemble (in residence at Berklee College of Music) and Longitude New Music Ensemble (Cambridge, MA). 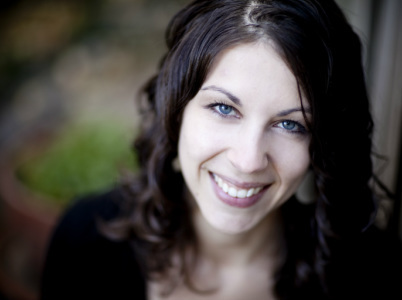 Highly sought after for her innovative and imaginative teaching style, Jessica has combined her own experience with elements of Alexander, Feldenkrais, Body Mapping, Dalcroze Eurhythmics, and Gordon Institute research, to develop unique methods for holistic and efficient learning. Jessica currently serves on the faculties of Emory University and Agnes Scott College, and maintains a large and selective private studio, where her students have consistently won competition prizes and positions in prominent youth orchestras and all-state ensembles. She has also served as a teaching artist for the Atlanta Symphony Orchestra. Jessica is co-founder and co-director of the Atlanta Chamber Music Festival, and an Artist in Residence at the Orfeo Music Festival in Vipiteno, Italy. A long-time advocate of social change through music, Jessica is the co-founder and executive director of Play It Forward, a nonprofit which provides private lesson scholarships for students with financial need in exchange for hour-for-hour volunteer work, for which she won the 2016 National Flute Association Arts Venture competition. Prior to founding PIF, she served as the Flute Teaching Artist for the Atlanta Music Project, an El Sistema organization providing intensive music training for children in underserved communities, from its inception in 2010 until 2015, and she was a speaker at the 2012 TEDx Centennial Park Women conference on the topic of social change through music. Jessica holds a D.M. from Florida State University, a M.M. from the Longy School of Music, and a B.M. from Boston University, and has studied at the Brevard and Bowdoin music festivals. Her principal teachers include Robert Willoughby, Eva Amsler, Laura Gilbert, Marianne Gedigian, Linda Toote, and Elizabeth Goode. She can be heard on recordings with the FSU Symphony Orchestra (Naxos) and Chamber Cartel (independent).